The Christmas festivities are over once again. Fun was had, there was laughter, crackers were pulled, poppers popped, bubbles drunk & many cheers, a couple of cocktails, a delicious feast consumed & crazy pass the parcel played All the build-up, all the preparation & in a blink of an eye gone until next year leaving in their wake….well ham, lots of ham. We have a little bit of a ham mountain. I feel I have almost half a pig in the fridge & though much ham has been consumed over the last few days I am not convinced it is getting any smaller. Fortunately I love the Christmas ham & have yet to reach my limits. But a little variety is definitely required. A take on Jamie’s ham, spinach & cheese tart has been made & it was so cheesy, creamy delicious I will have to share it. You can even kid yourself it’s a little healthy as it has some of the green stuff in it! So for the next few weeks I may have to change the name my blog to “Ham” & any tasty suggestions will be most welcome! First up though were these tasty morsels from Nigel Slater; ham, cheese & apple muffins to be precise. Ever so cheesy which is always a good thing, little nuggets of ham & just the hint of sweetness from the apple. Any full flavoured cheese will work here. I also added a little mustard powder as mustard is such a good friend to ham. I also think a few chilli flakes or a pinch of cayenne wouldn’t go amiss. Pre heat oven to 200C/390F. Line 12 medium-sized muffin tins with paper muffin cases. Place the flour, sugar, baking powder, mustard powder and a little salt in a bowl & mix well together. In a separate bowl, break the eggs & lightly beat them, stir in the yoghurt, the chopped ham & the grated apple. Fold the cheese into the yoghurt mixture & lightly mix with the dry ingredients. Gently & quickly to keep them airy & light. Divide the mixture between the 12 cases, grate over a little cheese & bake for 25 minutes till risen & gold & maybe just a few crunchy toasty cheesy bits. Allow to cool, well at least a little before eating. Nigel says to eat the same day, which would be easy but after all the over indulgence of the past few days there are limits & a desire not to turn in to a muffin! I found warmed through on day 2 with a little butter they made for the perfect tasty breakfast. Enjoy & have the happiest of New Year’s! This is one of Jamie’s 30 Minute Meals & yes it did take a little longer. Maybe 45 minutes which was fine by me. 45 minutes chilling, chopping, whizzing, grilling was the perfect wind down for me after a busy day. A little me time & at the end of it a fresh, full of flavour, spicy, fresh dinner. And why not just take a little time? We spend so much time rushing around. There's really no need to run around frantic just to save a few minutes. Just take a few & enjoy the process & you'll have dinner on the table & everyone happy & eating in no time at all. Sometimes you should just take a little time. I was having a chat with a friend the other day who asked me how I had time to chill out & take some me time. It's simple really I just make a little time for me time, otherwise I would go insane. Sometimes you just need the quiet. Besides I think we will always find the time to do things that we really want to do whether it's to read a book, watch a movie or a favorite TV show, take a yoga class or hit the gym. For me a little me time is good for body & soul, it's a little calm out of the daily crazy. And if it means a few chores don't get done until later so be it. There's most definitely more to life than chores & a never ending list of things to be done; a compelling need to always have something you have to do. Just stop for a little. Here's a wee poem from Rose Milligan that sums it up nicely. 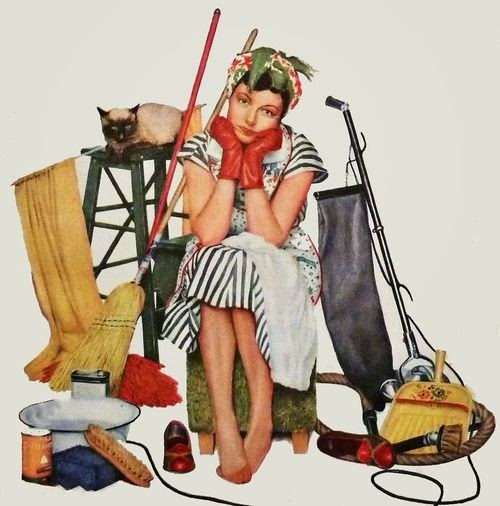 So leave the dusting for another day & do something you enjoy & take a little me time. Turn your grill on to high & soak the wooden skewers in a tray of cold water. For the satay place the coriander (stalks & all) into a food processor; I used my trusty Russell Hobbs. Add the chilli, garlic, peanut butter & a splash of soy sauce. Just add a splash for now & then you can add a little more if need be, it’s a lot easier to add then take out & you don’t want it to overpower the satay. I found a splash to be plenty. Add the ginger, the zest of both the limes & the juice of one. Add a couple of splashes of water & whizz to a spoonable consistency. Season to taste & adjust if need be. Spoon half the satay into a little bowl & place on a large platter. Cut the chicken in to bite sized pieces & thread them on to the skewers. Scoop the rest of the satay mix from the processor into a roasting tray, add the chicken skewers & toss with your hands to coat, rubbing the flavour into the chicken. Put on the top shelf of the oven, under the grill, for about 8 to 10 minutes on each side, or until golden & cooked through. Trim the bases off the little lettuces & get rid of any wilted outer leaves. Pick the rest of the leaves off, halving the cores, rinse & dry& place on a platter. Bring a pot of salted water to a boil & cook the noodles according to the packet instructions. Place a medium frying pan over a low heat & add the cashew nuts & toast, tossing occasionally until golden. But keep an eye on then as they can go from toasty to totally charred very quickly. Rinse out your food processor & pop the red onion half in with the chilli & the stalks from the coriander. Pulse until finely chopped & then place into a large serving bowl with 1 or 2 tablespoons of soy sauce & a drizzle of extra virgin olive oil. Squeeze in the juice of 1 lime & stir in 1 teaspoon each of sesame oil & fish sauce. Mix well, then taste & adjust the seasoning if need be. Drain the noodles in a colander, refresh quickly under cold water, drain again & add to the bowl. Toss your cashews & turn the heat under them up to high. Add 1 teaspoon of honey, mixing & tossing the nuts in the pan. Once dark golden, tip them into the serving bowl & add the coriander leaves. Toss everything together & place on the platter with the lettuce & satay sauce. Turn the skewers over, drizzle with a little runny honey & place them back under the grill for 8 to 10 minutes more or until cooked through. Roughly chop the coriander leaves and finely slice the chilli & pop them in to little side bowls & add them to the platter along with some lime wedges. Pile the chicken skewers on the platter & serve alongside the noodle salad. Scoop up a lettuce leaf & fill with chicken, a little satay, chilli, coriander, noodle salad & a squeeze of lime & eat. Bright, fresh & just a little fiery! So we were checking the weather every day but as Saturday grew closer it just didn’t look like the weather gods were going to be on our side. Come Saturday we were; “please just don’t let it rain”. Our prayers were almost answered & besides we weren’t going to let a little rain & wind spoil our. The wind did eventually win forcing the organisers to shut Taste for the afternoon & cancel the evening session altogether. It was a tough call but there were some mighty fierce gusts that were blowing upending tables & chairs & flinging them around so really the only call they could make. Harbourside's Scallop; sweet, sour & salty with tamarind & chorizo caramel, avocado, creme fraiche & rice puffs. But up to that point we managed to find shelter whenever the rain became more than a little drizzle or the wind a little too gusty. We still tasted a lot of delicious food & sipped on some delightful tipples. The Man O War Dreadnought the perfect red for the blustery day. Even better the closing early meant free tickets for the Sunday session so we were able to return on a sunny Sunday afternoon to taste what we’d missed on Saturday. All’s well that ends well & we left warmed by the sunshine & bellies full of deliciousness. My favorite of day 2 were the smoked beef cheeks by Mikey Newlands from Bracu. Meltingly tender & so much flavour. The pecans adding the perfect sweet crunch. Bracu's smoked beef cheeks, butternut, roasted yoghurt & pecan. We'd also somehow missed the small producers on day one, not quite sure that happened but it did. However it did make for tastings of more delicious morsels. Stand outs Smokey Seafoods & the Hungarian Artisan Co's smoked & spicy sausage. And to finish there had to be dessert. This one was light & delightful. A lemon mousse cheesecake with digestive crumb & the most wonderful burnt orange sorbet! So the weather did not dampen our Taste experience. It may have left us a little windswept but also full & happy. Bring on next year! This is a great speedy supper for the longer lighter, though not quite warmer days. I’ve still had the heat pump on & been snuggled in my big fluffy, cosy dressing gown this past weekend so a little hit of heat from the chilli & sriracha was most definitely welcome. In fact writing this now I’m all snuggled & cosy under the heat pump. We’ve just had Labour weekend here, which is the kind of unofficial official start of the summer season, traditionally the weekend to plant tomatoes in time for a summer crop. However there seems to be some wires crossed somewhere & it still somewhat not very summer like. We’ve yet to have more than the odd day of balmy evenings, not that that will stop us getting the BBQ out! There’s been BBQing in the wind & rain as we defy mother nature. Handily the BBQ doubles as an outdoor heater so we’re all good there. Light, a little sweet, a little aromatic & with a spicy kick this chicken packs a punch with sweet chilli sauce, sriracha, kaffir lime, lemongrass & fresh ginger. I’ve been buying up ginger at every opportunity as new season ginger has just arrived here. Quite different from the usual dried specimens on offer; it’s light & bright & a little shiny. I’m just going to keep buying it & freezing it. You can then just grate it whenever you need it to add a little zing to all sorts. *I like Culley’s - good kiwi stuff! *Again my nifty Russell Hobbs lent a hand here, that little bowl on top is just the ticket to quickly get grated carrots in seconds. **For perfect rice go here, seriously perfect every time. Score each chicken breast. Mix all the marinade ingredients together & pour over the chicken. Give it a bit off massage to make sure it is well coated & pop in the fridge to marinate for at least 30 minutes or overnight if organised! For the slaw place the cabbage, carrots, spring onion & chilli in a bowl & mix together. Pour over the rice wine vinegar, lime juice, sugar & toss everything together. Taste & season with salt & pepper. You can grill chicken on the BBQ or on a griddle pan or even pop it in the oven. To grill, cook for 10 minutes or so until cooked through & the juices run clear. To oven bake pop in a 180C/350F oven for 15-20 minute, again until cooked through & the juices run clear. Serve the chicken with the rice & slaw & scatter over some coriander & sliced chillies. So I am still in the midst of my 4 weeks of healthy living. Actually bang smack in the middle as just now heading in to week 3, so just over the half way mark. It has actually flown by & feeling great! It is just good to get back in to some of the good habits. The good news is I’ve still been able to have treats! That is thanks to Snack Packs. 5 tasty little snacks delivered to work each Monday morning, different each week so we have variety, good for you & very treat like. It is now quite the treat to receive that little parcel each Monday morning not knowing what delights it is going to contain! It also means I’m not buying up crackers & hummus & nuts in the weekly shop & usually buying too many that all get scoffed. This week we’ve got mint condition & apricot coconut Amazeballs…they are really quite amazing. Plus grain crackers with almond butter, a cashew & apricot energy bar & the crusher; a mix of dried apricots, dark chocolate & walnuts. Snacks & treats well & truly sorted for the week. Much as we’re on a somewhat healthier kick I still need variety & need to veer off the regime now & then with a few experiments & this salad was just the ticket for something a little different. A little sweet & a little crunchy & refreshing on one of the first sunny days of the almost summer season. Whisk together the orange & lemon juice along with the olive oil in a large bowl. Season with salt & pepper & add the melon, fennel & olives. Toss to combine & coat in the dressing. Scatter over the orange zest & fennel fronds , drizzle with a little olive oil & serve immediately. Bright, fresh, a little salty from the olives & a little sweet from the melon...a quite delightful addition to the salad repertoire.